UT Products are in available in different languages, e.g. German, English, French and Arabic. Components of the UT for ArcGIS Product Suite are at your disposal in different combinatios during the Utility Asset Lifecycle. The full blown UT Editor for your network documentation. 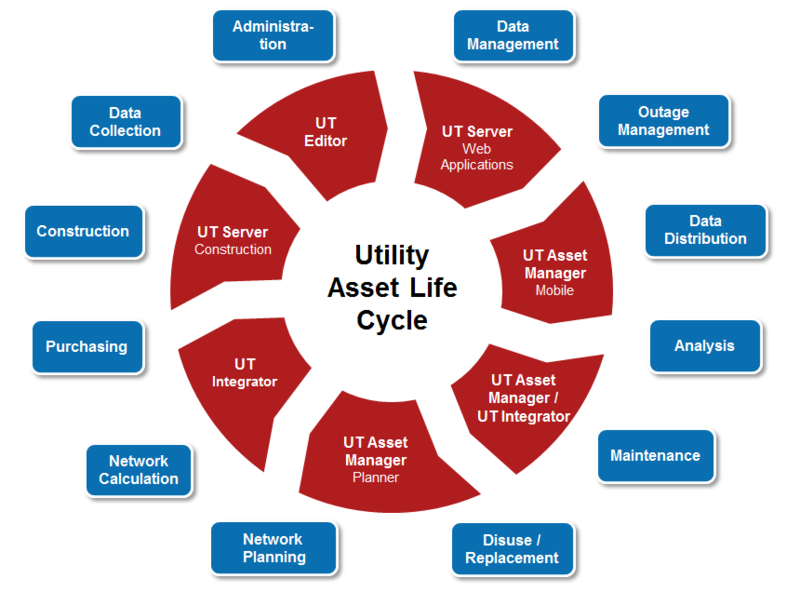 The UT Asset Manager as a llightweight standalone desktop product with very powerful functions for Attribute Editting, or for Working Mobile in the field. Planning capabilities are available through all components from Desktop to Server. Your GIS is not an island, it is in connection with other systems permanently. The UT Integrator creates, maintains and manages these connections to other Enterprise Systems in your Organisation, e.g. from SAP through SCADA Systems to Document Management Systems.